Superior Masonry was established in 2000 by Ismael Lopez. As owner and general manager, he has over 25 years experience and comes from a long family history of block layers including his dad, his three brothers and his son who is an estimator for the company. Ismael was introduced to masonry at age 16. The knowledge and experience he has gained over the years benefits every employee and every customer. Superior Masonry hand picks all of their employees. Every masonry and footing crew has their own foreman with a minimum of 15 years experience. 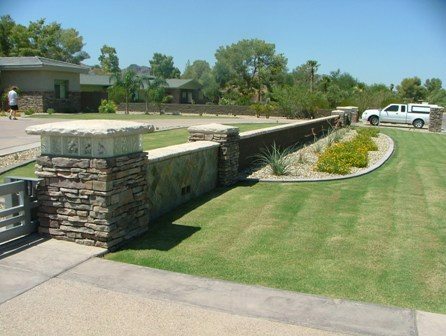 Some of the many jobs we have completed include hillside subdivisions such as Firerock Country Club, Ancala Country Club, Desert Mountain, Shadow Mountain, Troon North, and surrounding Troon areas, as well as Mirabel, Fountain Hills and various North Scottsdale hillsides. Ismael is a dedicated husband, father and grandfather, as well as an avid pilot. He applies that same passion and dedication into making sure his customers are completely satisfied. Superior Masonry is a block layer contractor working in Fountain Hills, Chandler, Goodyear and the entire Phoenix region.